In the morning arrive in Ahmedabad. Ahmedabad is the second largest cosmopolitan city of Gujarat. This city nurtures in its fold pages of history, a breath of harmony and a show-case of exquisite architecture. Upon arrival, you will be transferred to the hotel in Ahmedabad. In the afternoon we visit the Gandhi ashram. Gandhi ashram is situated in Sabarmati which is about 6 kms from the Ahmedabad. This ashram is one of the beautiful ashram and the important tourist attraction in Ahmedabad. This ashram was the Mahatma Gandhi's headquarters during their struggle for India's independence and now houses some of the records of the major events in his life, a memorial centre and a library. After visiting the Gandhi Ashram we visit the Gandhinagar's famous temple, the Akshardham temple. Gandhinagar is the second planned and architecturally integrated city in India after Chandigarh. The Akshardham temple is the most famous temple of the Swaminarayan Sect, one of the richest religious sects in the world. This temple houses the 7 feet gold-leafed idol of Lord Swaminarayan and is a unique cultural complex. Akshardham is an intricately carved, majestic monument of 6000 tonnes of pink sandstone and is surrounded by lush green gardens and beautiful fountains. In the morning we visit the Hathee Singh Jain Temple. This temple is dedicated to Dharamanath, the 15th Jina or Jain apposite. This temple is one of the best ornated Jain temples in Ahmedabad and is built of pure white marble and decorated with rich carvings. Later we visit the Jama Masjid. Jama Masjid was built in 1423 by Ahmad Shah and described by some as the most beautiful mosque in India. This mosque is believed to have been constructed from the items salvaged from the demolished Hindu and Jain temples. After visiting the mosque we visit the Calico museum of textiles. This museum is widely regarded as one of the finest textiles museums in the world, started in Calico Textile Mill. This museum of textiles has excellent exhibits of antique and modern textiles including rare tapestries, wall hangings, costumes and old weaving machines. In the morning we drive to Rajkot. Rajkot is a very pleasant provincial town. Mahatma Gandhi spent a few years of his life in this town. His father was the Dewan (Chief Minister) of Rajkot, once a small princely State. In the evening arrive in Rajkot. Overnight stay at the hotel in Rajkot. In the morning after having breakfast we drive to Dwaraka. Dwaraka is situated on the Saurashtra coast, where the River Gomti meets the Arabian Sea. According to the legends, Dwarka was once the capital of the Lord Krishna's empire. It is also believed that the original Dwarka, which was an island, was submerged in the sea. Dwaraka is also one of the four holy places of the Hindus. Dwaraka is known all over the world for the temple of Dwarkadhish, the 'Lord of Dwarka', also known as the Jagat Mandir or temple of the world. In the evening arrive in Dwarka and drive to the hotel. In the morning we visit the Dwarkadhish temple. This temple was constructed over 1400 years ago and houses the image of Lord Krishna. This temple attracts pilgrims from all over the world. Besides the Dwarkadhish temple there are various other temples in Dwarka like the Rukmani temple. This temple belongs to the wife of Lord Krishna. After visiting the temple we drive to Porbandar. Porbandar is a picturesque old sea port situated on the western coast of Gujarat. Porbandar was the birth place of Mahatma Gandhi. Later in the evening we visit the Kirti Mandir in Porbandar. In this home the Mahatma Gandhi, the father of the nation was born in 1869. 17 rooms and three storeys are there in this house. In the morning we drive to visit the Somnath temple. This temple is one of the twelve most sacred shrines dedicated to the Lord Shiva and a jyotirlinga. 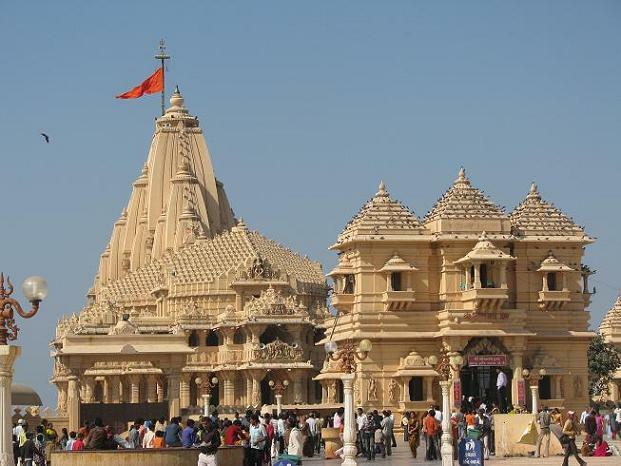 According to the legend, Somnath temple was built originally in gold by Somraj, the moon god. This Somnath temple was rebuilt and destroyed seven times till 1706 when it was raided by the Mughal emperor Aurangzeb. After that it was finally rebuilt in 1950 with the support of Sardar Vallabhabhai Patel. After visiting the Somnath temple we drive to Junagadh. 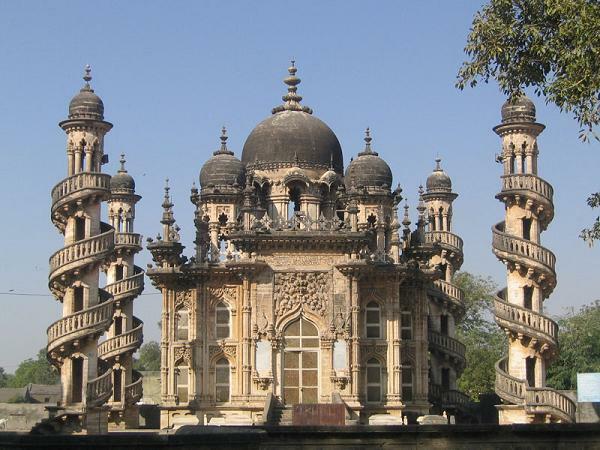 Junagadh is situated in the Saurashtra region at the foot of the temple-studded Mount Girnar, on the northern fringes of the Gir forest. The city takes its name from the fort that enclosed the medieval town. In the evening arrive in Junagadh. In the morning we visit the Mount Girnar. Mount Girnar is one of the hills which is most sacred to the Jain community. Various Jain temples and Hindu temples are located on the Girnar hill which is more than 60 m in height. One of the largest and the oldest, 12th century temple dedicated to Neminath is situated on this hill. Besides this, the Bhavnath temple dedicated to Lord Shiva and the temple of Amba Mata are also situated on this hill. After visiting these temples we drive to Ahmedabad. In the night transfer to the airport or railway station for the onwards journey. 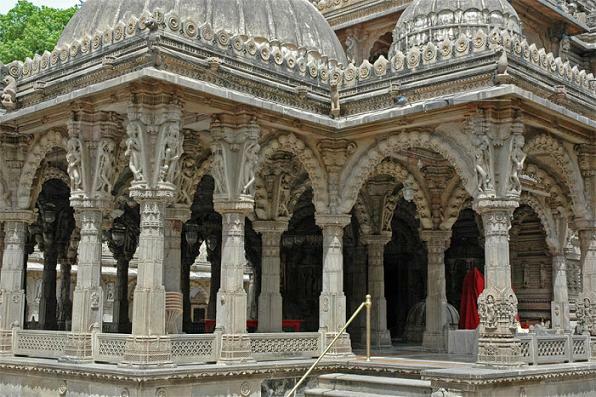 Visit Gujarat Tours for more Tours & information on Gujarat!